If you are a Mate 10 Pro owner then let us guide you on how you can flaunt your phone in style. Here are some of the best Huawei Mate 10 Pro cases that will not only look good on your device but will also protect it from physical damages. 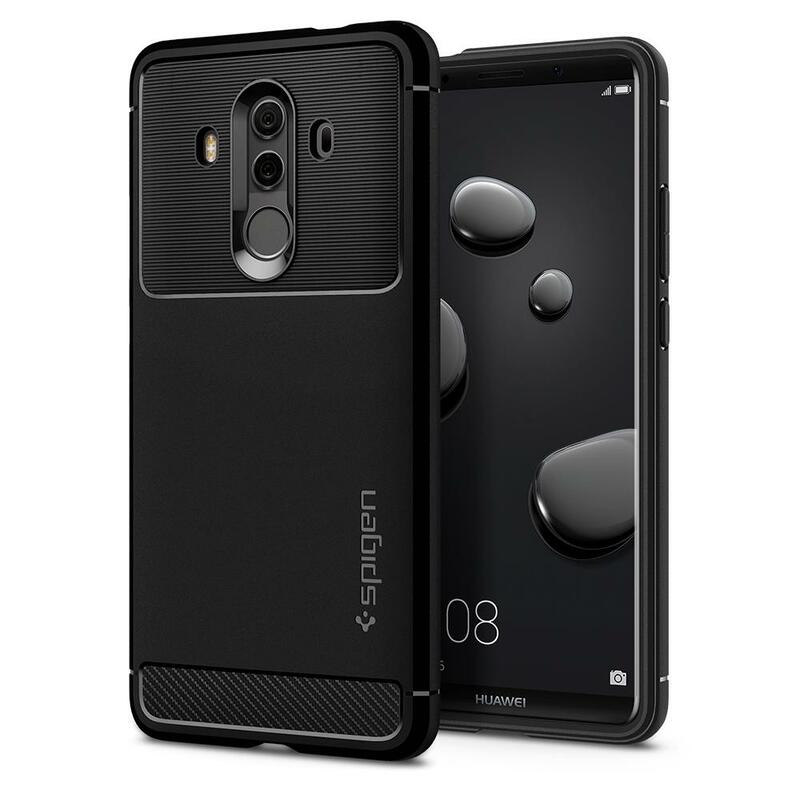 A special case and one of the best Huawei Mate 10 Pro cases have been specifically designed for the phone. It has been well thought out that the designers have managed to infuse lots of unique features into its design. The case is thick and has a dual-color design, including a blue & black flowy pattern that is quite attractive to the look. The edges are raised so that they properly protect the glass display and ensures it doesn’t break even if you accidentally drop the phone. The case has a ring kickstand which provides improved grip. 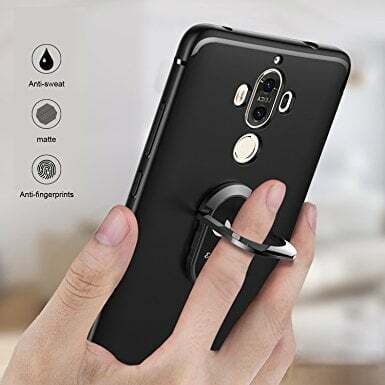 You can actually hold the phone by slipping one of your fingers into the ring while browsing, making phones calls or watching videos on your device. It also doubles up as a stand. Just place it in a way that it provides grip to the phone and you can easily place your phone on any table to watch videos for long hours without straining your hands. 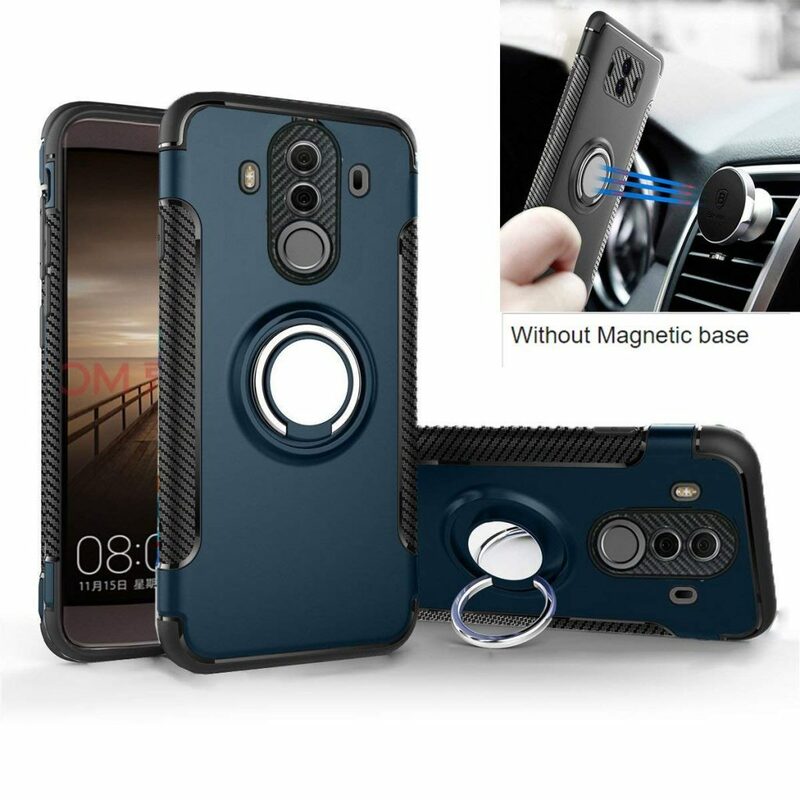 The Mate 10 Pro case has a magnetic circle using which you can attach it to the AC vent on your car to make a video call on the go. It also has a car mount feature allowing you to easily rotate the phone to any position and use it. It doesn’t matter in which direction you try to rotate it, the phone’s back, round panel will remain in place and ensure it doesn’t fall from your car’s dashboard. An amazing multi-purpose case if that’s what you need. What makes this case the best? 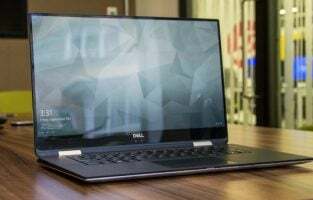 This case is quite low-priced and comes from a popular brand like Tekcoo, but it doesn’t compromise at any point which is what makes it very reliable. The Mate 10 Pro case is available in multiple colors including baby pink, turquoise, green and hot pink. If you are looking for the standout feature in this product, look no further, because it is one of the hardest and the most reliable cases that you could buy online. Made of dual-layer, armored series, it will perfectly fit your Pro phone. 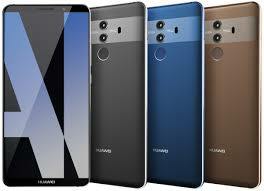 Before you make the purchase, know that it will not fit other models in the Huawei Mate series but is specifically made for the Pro model. The corners have been reinforced because most displays break when the phones hit that exact spot when they accidentally fall down. You can be assured that it will cushion your phone and safeguard the display against accidental drops. The Tekcoo case is designed for people of all age groups and both gender. The colors are appealing to everyone. The case has cuts at the exact points to allow seamless access to different buttons, the charging port, speakers and the camera. They are in such a way that they look stylish and are also user-friendly. The pricing further sweetens the deal as you can purchase it off the shelves without thinking twice and buy additional pairs if needed. What makes the Tekcoo the best of the lot? Tudia has gained a positive reputation among buyers online and not without a reason. 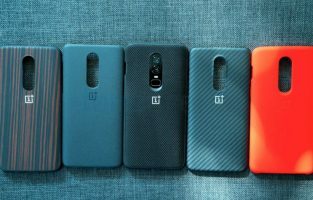 They have been making some of the best smartphone cases and the ones made for the Mate 10 Pro is available in a range of colors. While the colors are vibrant and great to look at, the case is pretty sturdy and is capable of keeping the phone very secure when they are expected to. The case is made of high-quality polycarbonate material while the interior layer is made using TPU rubberized material. They are combined together to provide a rubber-like grip so that you don’t lose your firm grip on the phone even if your hands sweat. The snap-on design lets you remove the case when required and it also has raised areas near the camera so that they are safeguarded against scratches. The dual-layer design is one of the most unique aspects, but the designers have managed to incorporate it without increasing the thickness of the cover. It firmly gets placed on the phone without adding any additional thickness to it or spoiling the overall design. The cutouts are perfectly done to let you use the camera, the buttons and the ports on the phone without any difficulty. The rubber top on the buttons provides a smooth feel every time you use the volume or the power button. What makes the Tudia case so amazing? 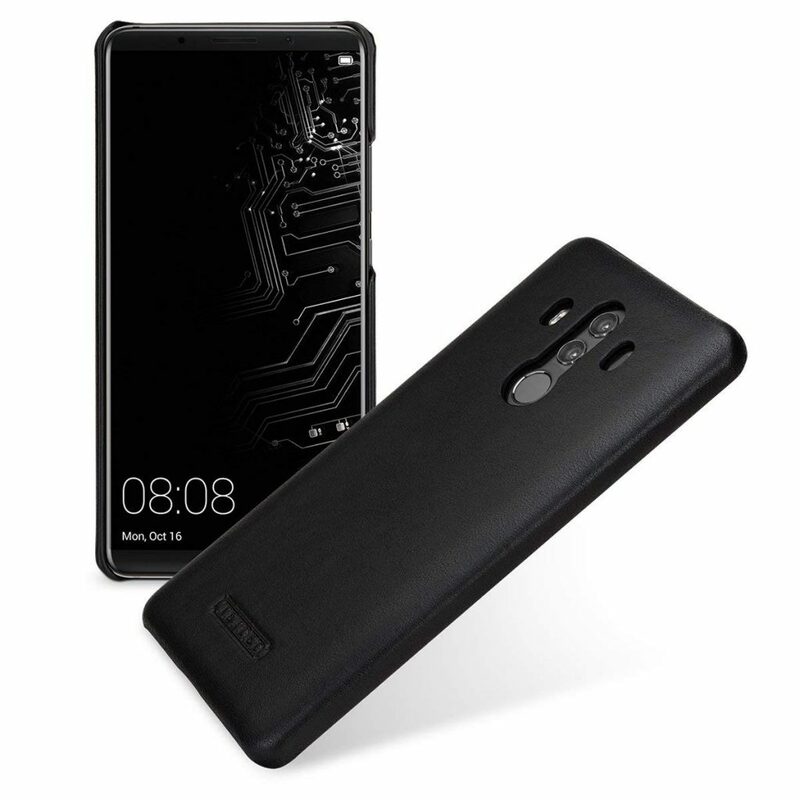 The Vinve case features a clear back design which immediately stands out and showcases the best curves found on the Huawei Mate 10 Pro. The case is obviously made of high-quality TPU material which is found on almost every other smartphone case out there. However, when you pick your choice from a branded case that also happens to have tens of positive user reviews, you can rest assured that it looks good and ideally fits your phone. The product is reliable and feels very sturdy to look at. 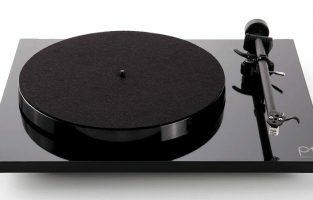 It is available only in two colors blue and black but their target audience is more affluent users who love the black finish. The dual layer case is made using TPU material on the exterior which provides a rubber finish to the sides and makes sure your phone’s display doesn’t crack even if you drop it down. It also uses hard PC back panel under the TPU panel which safeguards the entire back area of the Huawei device. Compared to lots of other fancy cases, this one is posher and protects your phone without adding any huge thickness to your phone. While others do have rings and additional stands, it can affect your phone’s design to a great extent. If you want subtle protection that also looks classy, this is the one to go for. It is ultra-slim and retains the beauty of the phone by being transparent in the back. What makes the Vinve slim case stand out? The case looks extremely rugged and stylish and it is easy to say that the brand MingWei has done a great job with the product. The standout feature of the product is the ring kickstand which can easily be swiveled in 360 degrees and can also be folded to lie flat so that you can have easy access to the round magnet mounted in the center. The product is similar to most other cases in the market made of dual-layer design to provide additional protection. It uses soft TPU material on the inside while the exterior area is protected by a hard layer. The edges are all safely secured so that even if you drop your phone, the edges will not get damaged which usually causes the screen to crack. The center ring is a useful addition using which you can position the phone on a table and watch movies or videos. You can also use it wrap it around your fingers to get an extra grip when browsing the device. The front lip is designed to protect the panel against scratches. An additional feature is the corners are made of textured, rubber-like material that provides reliable grip when you hold the phone. The round magnet in the center facilitates users to attach it to the car dashboard while on the move. What makes the MingWei case the best? Making a smart case requires using some of the premium materials that you might have come across previously yet it usually leads to increased pricing. 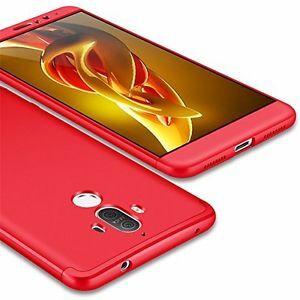 The manufacturer Einfagood has made sure the pricing of the case remains as affordable as possible and you would be surprised to know the type of features available in it. 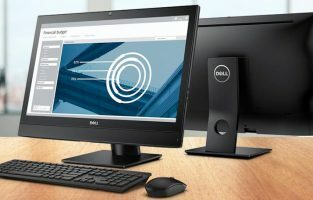 Compared to most other models which focus on using a rounded ring, the designers have gone for a different shape which provides more stability to the stand. The case features a stylish oval-shaped logo at the back which houses the ring made of black zinc alloy material. The soft shell is made in Germany and ensures it makes you phone water resistant, dustproof and shockproof. Even if you sweat a lot, it will not creep into the device as it is tightly packed. The designers have provided much attention to making it shockproof and safeguard your phone against accidental bumps. The corners and the side area of the phone are properly secured with this dual layer case. It makes sure your device doesn’t crack and the internals doesn’t feel the bump so that they continue to work as usual. The case has a car mount magnet and also safeguards the lens with a slight bump. What makes the Einfagood’s case most usable? 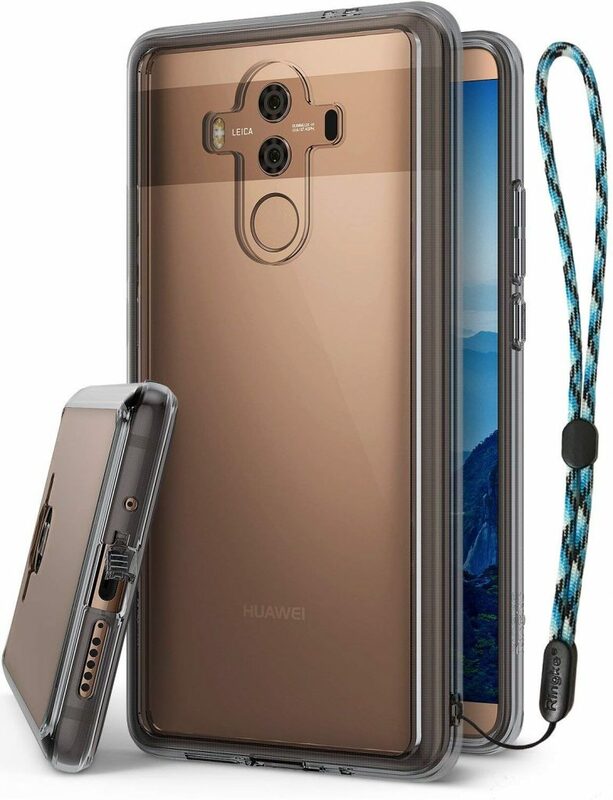 Among the best Huawei Mate 10 Pro cases, a majority of them focus on hiding the entire back area of the phone while leaving cutouts for the camera and the buttons. However, the phone sports one of the best-designed devices in the market and you are not alone if you want to showcase its aesthetics without using a thick case on top of it. That’s when the Ringke Fusion case comes into the picture with its crystal clear transparent design. You can easily see through the case and admire the beauty of your phone. 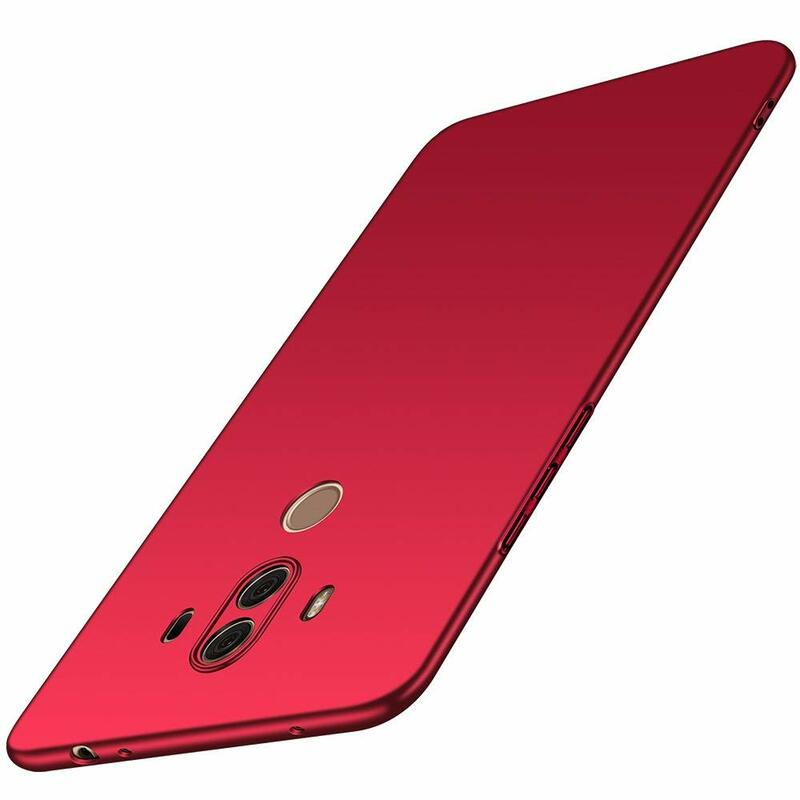 The Mate 10 Pro is available in different colors and showcasing the design of the back panel is something you can conveniently do using this case. The carry strap is available in three different colors including black, clear and gold so that you can pick the one that best suits your phone. It also features a unique design where there are simple-closed panels for the ports including the charging port, volume controls, and power button. You can use it to improve its life and secure them against accidental bumps. Whenever you need to use a port, you can just flip open it and access the charging port. The corner is equipped with cushions which is essential to keep the phone safe even if it accidentally falls on the floor. What makes the Ringke Fusion Case stand out? 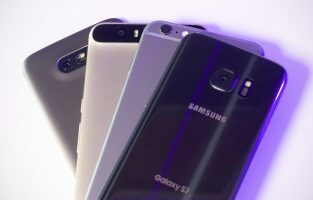 Everyone loves the iPhone for some reason or the other but the Android devices to offer lots of convenience over its competitor. If you have gone for the Huawei Mate 10 Pro, you probably loved the OS and the build quality of this amazing phone. 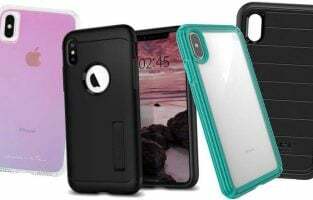 Get the best of both worlds with this Anccer protection cover which has been made to be the slimmest variant of the case you could find online. The case is available in an amazing range of bright colors including red, blue, black and green. Each one of them is the brightest variant of the colors available and if you are looking for a subtle design, this is definitely not made for you. The slim case has an extremely luxurious look that you would appreciate yet is sturdy in its own way made of hard PC material. The corners are protected and the camera lens, LED flash is safeguarded with the help of a bump measured at 0.3mm. For the average user, it will be really hard to spot the bump as it features a seamless design and flows throughout the phone’s body. The ports, buttons, and camera on the phone are readily accessible as all the cutouts are precisely made to provide the space required. What makes the Anccer case the best of the lot? When you get your first look at the CoverOn Explorer Series case, just don’t be surprised because it is an extremely rugged case. It easily reflects the designs found on Transformers but the case wouldn’t convert your phone into an Autobot. Rather, it is designed to provide total comfort and productivity with your phone by improving its lifetime and overall usability. The Explorer Series case is similar to the Armor series made by CoverOn but is different in some ways. The hybrid case is equipped with a belt holster so that men can clip it on to their hip and access it only when required. It’s aimed at sports, adventure lovers and frequent travelers who need easy access to their smartphone. It provides ultimate protection to your phone by a thick TPU material on the inside and polycarbonate material on the outside. The dual layer provides extra protection while the case has bumpers on the backside as well as a sturdy stand. Just pull the stand outside and it will instantly convert your phone into a mini theater or let you make video calls in a convenient position. The holster is scratch free and the product has a reliable 90-day warranty to get you through. What makes the CoverOn Explorer Series a great pick? Do you love premium leather material? It always feels great to hold in your hand, grippy when making phone calls and definitely adds a touch of luxury to your phone. 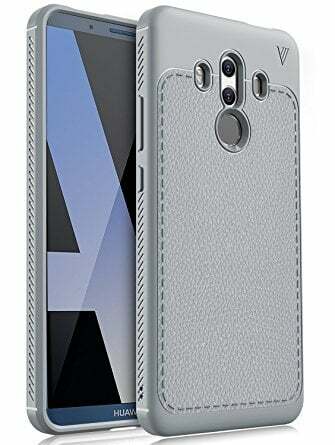 Among the best Huawei Mate 10 Pro cases, this one is definitely the most expensive. For the price you pay, you get an amazing leather case that oozes premium in every corner and perfectly protects your phone. The fit has been perfected for the Mate 10 Pro and doesn’t disappoint. The cutouts are perfect allowing enough space to access the buttons, the camera and seamlessly syncs with the overall design aesthetics. The durable case is available in brown and black colors. The manufacturer’s TETDED logo is found on the back but it doesn’t affect the overall design. It is handmade with microfiber material and is worth the investment. What makes the leather case so good? 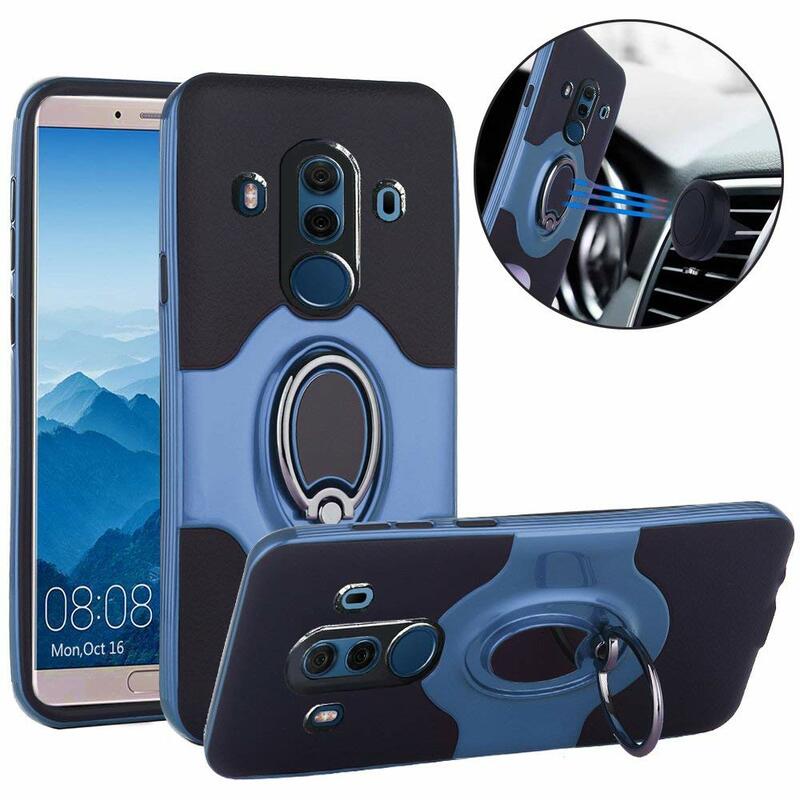 Made of high-quality TPU material, this case from EINFAGOOD also features a magnetic ring at the back which can be fixed on car mobile holders or tabletop holders for a hands-free experience. The magnetic ring can be rotated 360 ° so you can have a comfortable viewing. The sturdy TPU material makes the phone cover shock-proof and also drop-proof so it can be safe from any shocks and falls. This smartphone cover is also anti-sweat and anti-fingerprint so it doesn’t get stained. You also don’t have to worry about water when you have your Huawei Mate 10 Pro placed comfortably in this case. It also features a 1mm extended lens frame to protect the camera of your smartphone. This case from Spigen made from flexible TPU material has a woven-like pattern on the inside so your phone sits firmly. The look is completely fresh and the carbon fiber textures and glossy accents give it a unique and classy look. The build of the phone case gives it the ability to sustain any accidental falls or bumps. It takes all the sudden pressure and keeps your phone safe. The sides of the case are raised giving the screen extra protection. The buttons are tactile and will work flawlessly when pressed softly. Spigen is a known brand famous for making phone accessories. 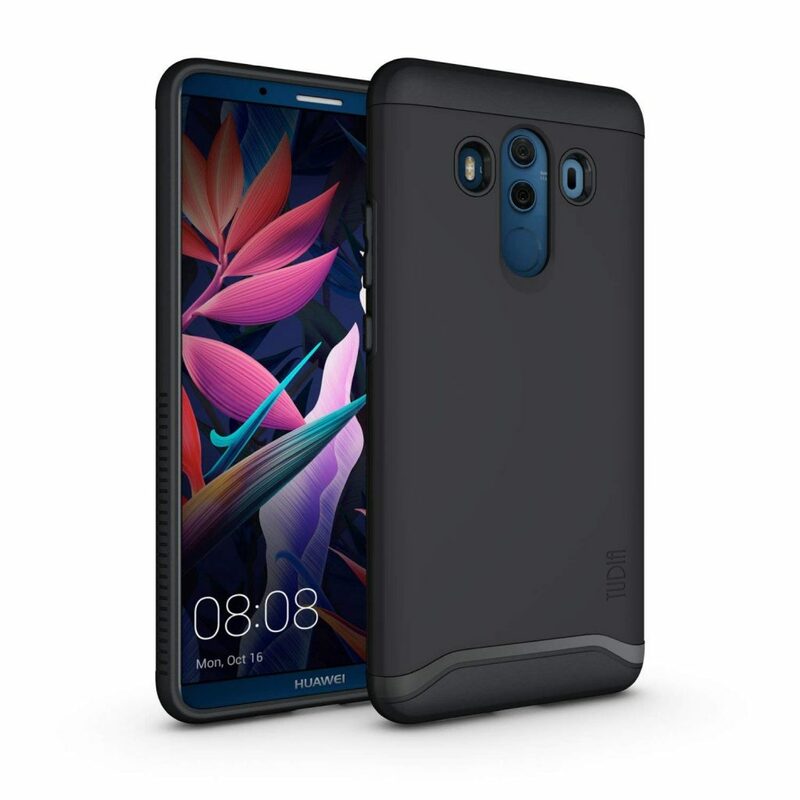 Its design and features make it one of the most useful Huawei Mate 10 Pro cases on this list. 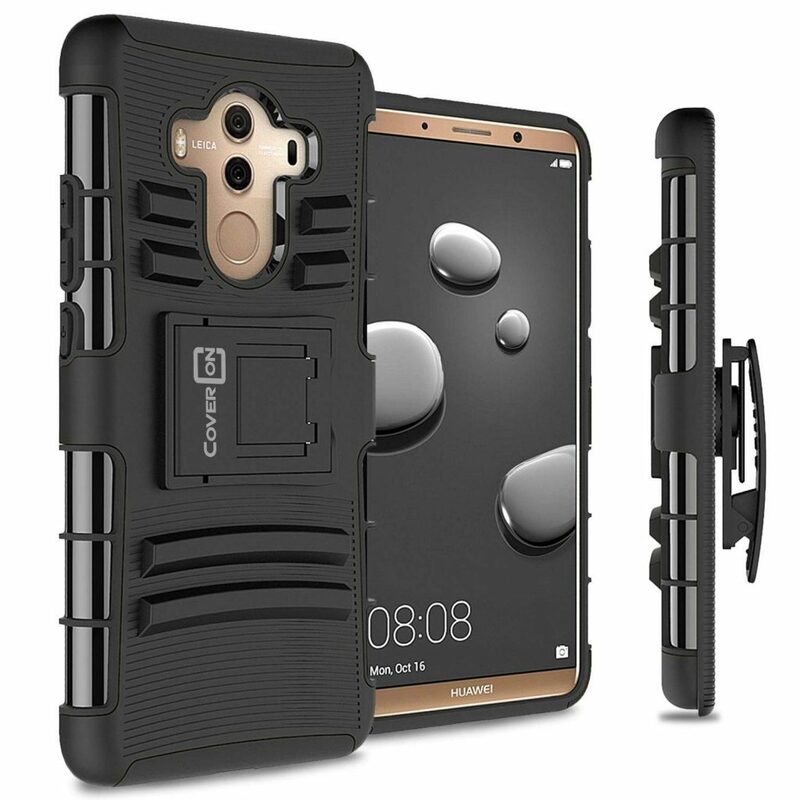 Designed especially for Huawei Mate 10 Pro, this case from TopACE is has a modern look and is one of the best on this list. It is made of hard polycarbonate material which is eco-friendly and sturdy. The coating above it is matte UV coating which makes it soft and comfortable to touch. The cover is also light, sleek and offers a firm grip on your phone. The cut-outs and molding have been made in a way that all the function buttons and ports can be easily accessed. This case is available in four pretty colors and is super easy to install and remove. Available in four attractive colors, this smartphone case from KuGi adds to the beauty of your Huawei Mate 10 Pro. This protective case is made of TPU material which is one of the best quality materials manufacturers use to make phone covers. It is an easy to use case and the back is scratch-proof thus it stays beautiful always. 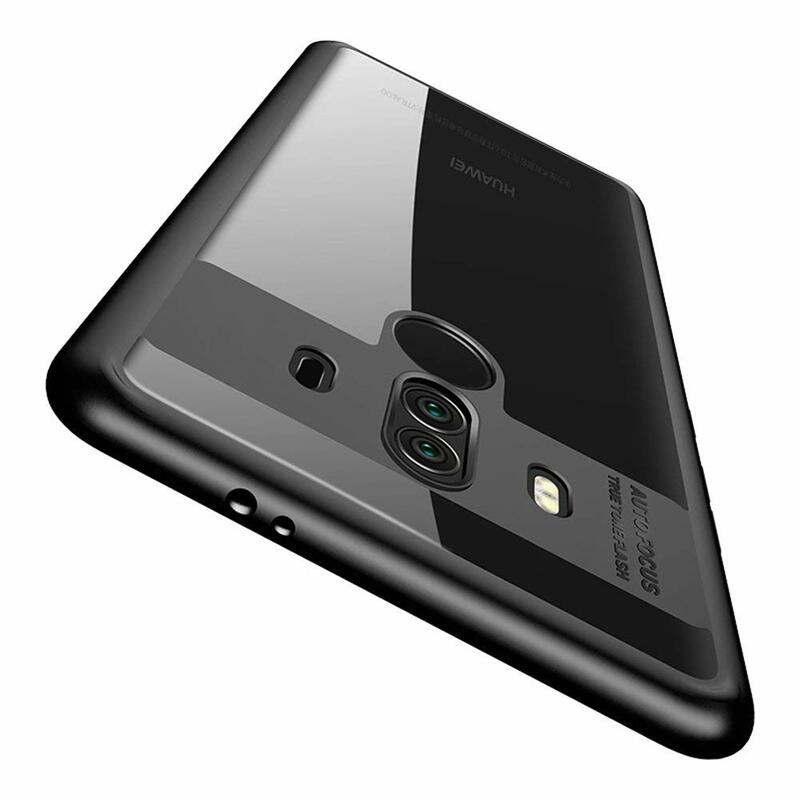 The smartphone cover has been designed exclusively for Huawei Mate 10 Pro and offers access to all the openings such as headphones, camera, microphone etc. 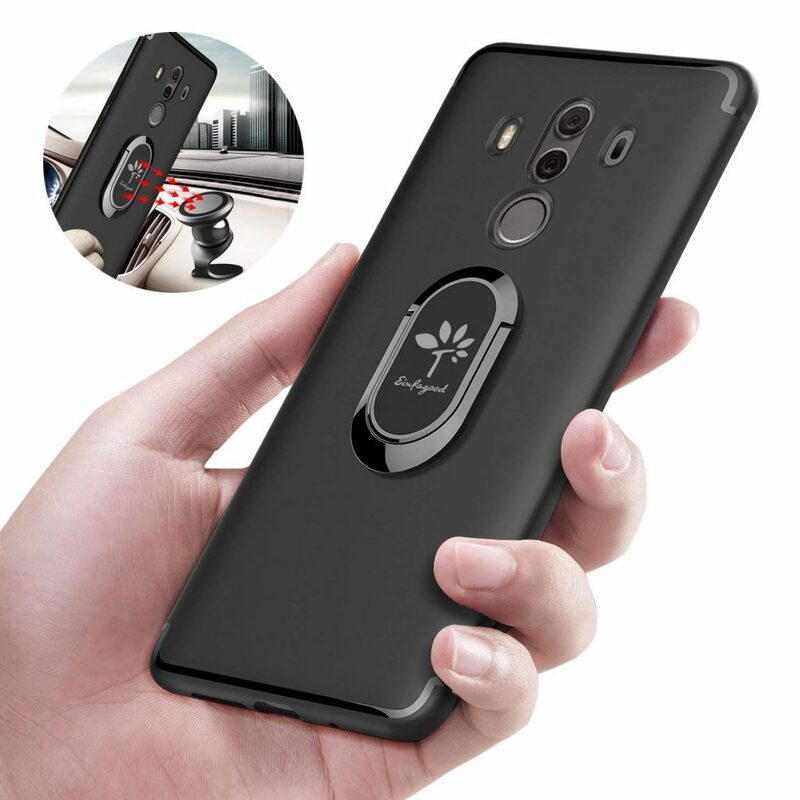 This exclusively designed phone case from TopACE will give your Mate 10 Pro protection from drops or accidental falls. For those who want to show off the original color of their phone yet have a protection for it too should opt for this beautiful transparent phone case. It is made from silicone TPU which is flexible, light and soft to touch. It is also scratch-proof and the matte TPU gives you a perfect grip while holding your phone. The cut-outs on the case are precise so you can have easy access to all the buttons and ports. Protect your expensive device from the daily dumps or scratches. It is made of genuine leather and has a sophisticated look. The case is smooth and soft and made of superior quality leather. The flip case also functions as a stand which will let you enjoy a hands-free experience of your Huawei Mate 10 Pro. In addition, the slipcover also has a small rectangular strip which lets you receive or refuse calls without having to open the case. 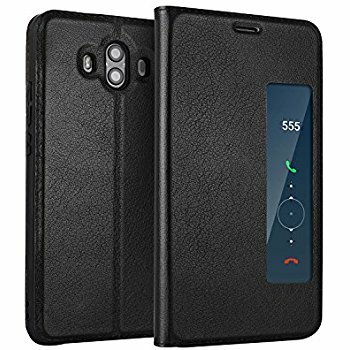 This is one of the best Huawei Mate 10 Pro cases you can buy. It features the RFID or Radio Frequency Identification blocking technology. There are many thefts that happen through the RFID. Using the RFID reader your electronic data especially of debit, credit or identity cards can be stolen within a three-meter radius without even coming in contact with them. This smart case blocks the RFID technology and keeps your data safe within. Besides this, the case has been hand-crafted out of high-quality premium leather which gives it a superior look. 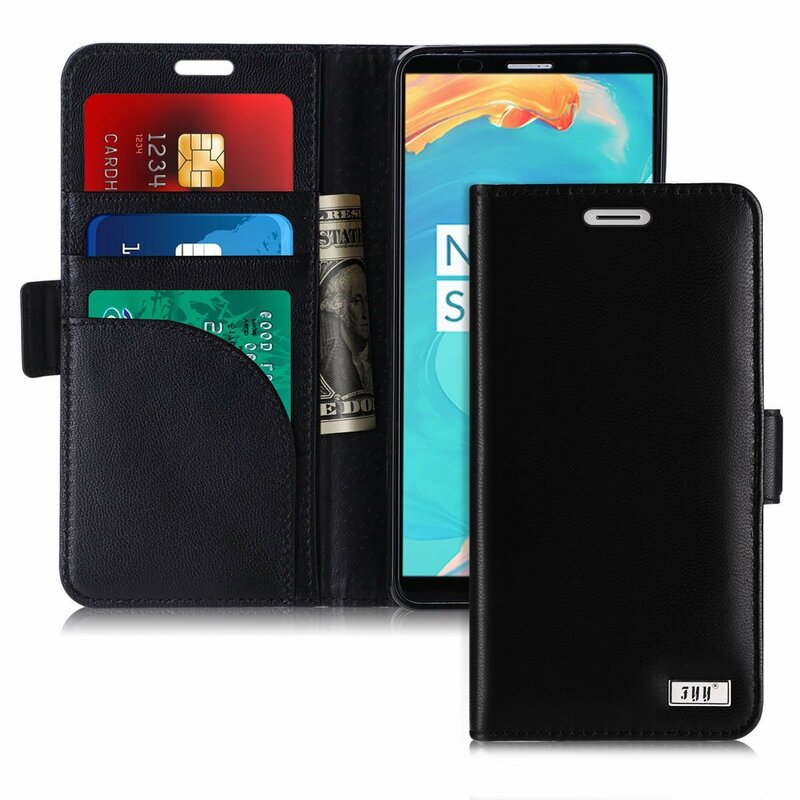 It is quite spacious and you have several card slots other than the phone holder so you can accommodate all your debit and credit cards along with some cash. 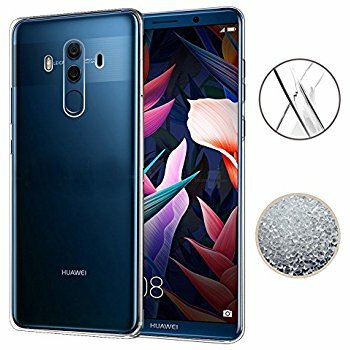 The last on the list of best Huawei Mate 10 Pro cases is from GKK. Available in four exceptionally matte finished colors, this case adds to the beauty of your Huawei Mate 10 Pro. The cover is made of three parts and offers complete protection to your device from accidental drops, shock or scratches. The look is sleek and stylish and doesn’t make your phone look bulky. The back panel has a textured feel which gives you a perfect grip on your mobile and prevents it from slipping off. Every cut-out has been precisely made and ensure that your mobile is responsive and easy to operate. The material used to manufacture the case is environment-friendly. It is super-easy to install and use. Your choice of case can differ but all the cases listed are of amazing quality and are sold by some of the best brands online. The best Huawei Mate 10 Pro cases should make your shopping easier and you can always buy more than one to swap them on your phone based on the occasion.